Robert Ellwood, a scholar of world religions, finds ancient wisdom in this twentieth-century bestseller concerning the quests we are all called to go on. 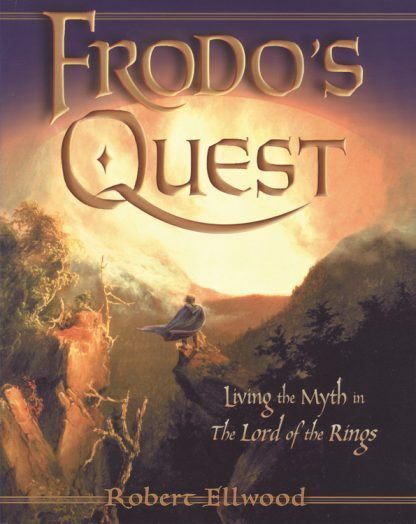 "Like Frodo," he says, "we each experience challenges that propel us on our own adventure-finally that of exploring the inner worlds and the meaning of our lives." Revisiting Middle-earth as a realm for personal discovery, Ellwood presents Tolkien's story as a tale of every reader's higher consciousness, death and rebirth, and triumph over evil. He teaches us to recognize the characters as archetypes we can meet in ourselves: a spritual guide like Gandalf, a friend like Sam, or, heaven forbid, shadows like Orcs or Ringwraiths. He also provides meditational exercises to help us overcome the trials we face as we make our lives into great journeys instead of dull routine. So be it! Let the Quest begin!